Soon, oh too soon the balmy Indian Summer weather we seem to be enjoying now will be obliterated by Mr. Jack Frost! With him he brings chilly frosty weather, he flits around each night and paints the landscape with silvery ice and then after he's finished sits back and waits for Ole Man Winter to make his presence felt! Brrrrrr just thinking about it chills my old arthritic joints! In any event, we are now faced with the Christmas countdown, only 82 days now until the Man in the Red Suit is scheduled to arrive..Mums and dads, grand parents, brothers and sisters, aunts and uncles will be searching for just that perfect gift to wrap in gay paper and to put beneath the their Christmas tree...This time of the year has a way of becoming hectic for those of us not prepared for the BIG day! 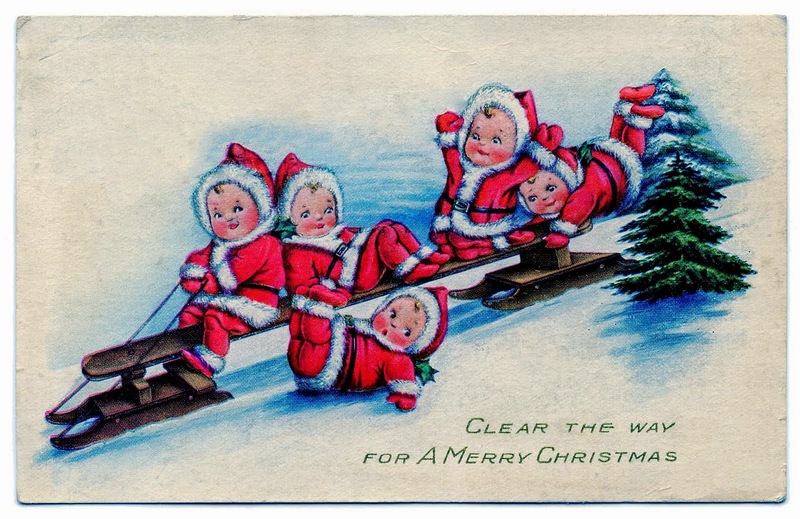 To help us get over some of the hurdles Jack Frost and Ole Man Winter love to throw our way each year, I have begun my Christmas shopping just that little bit earlier than usual after all there are only 82 more days until Christmas morning!!!!!! 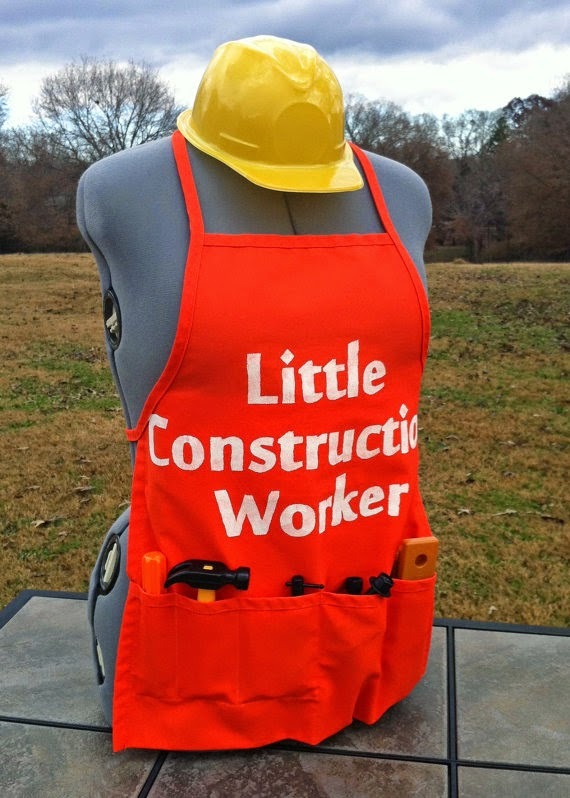 Look at this wonderful gift for the young toddler! 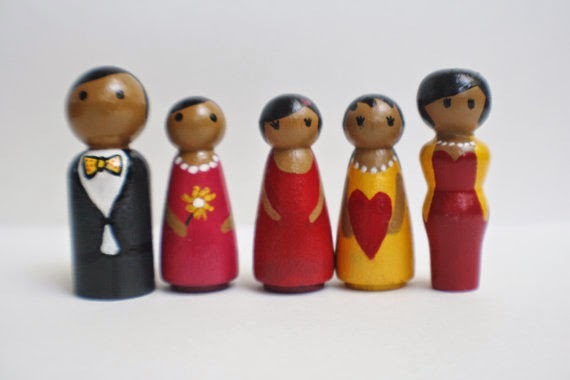 Handmade of course from the CustomToddlersWorld shop! 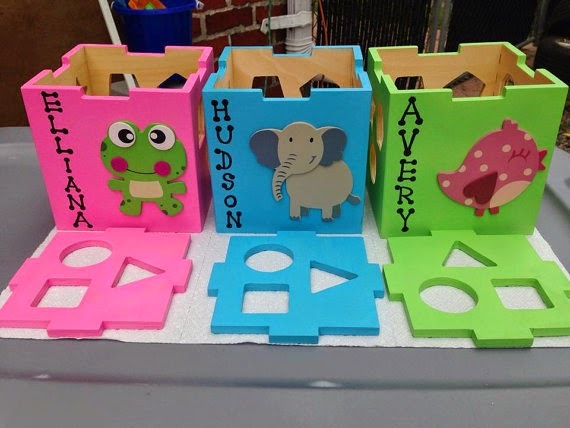 There are personalized shape sorting cubes. How very unique is that. The animals are all so adorable and the color choices are wonderful. It's your choice as to the childs' name, your color choice as well as Animal choice. Uniquely personal and a learning tool as well as a toy to keep young 1st year old's busy while learning shapes. How many times have you searched high and low for these??? I know I have and have given myself such a clap for not having looked into Etsy to find them! I found the greatest puzzle! Made entirely from fabric. 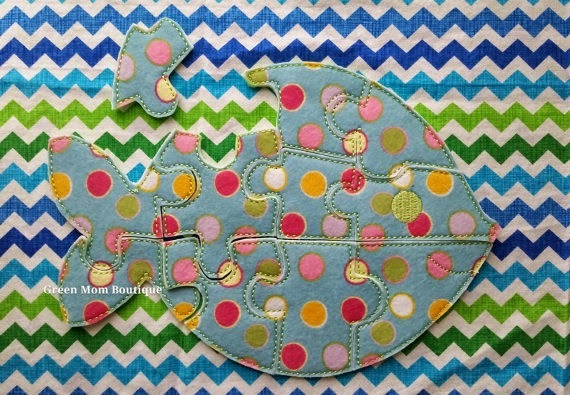 It is so unique and sure checks off some very important boxes such as tiny children can't swallow the pieces, it is eco friendly, can be washed if you do it right, and best of all it is a teaching tool while their having fun learning! I discovered it at the GreenMomBoutique and there are many other teaching aids you'll love looking at as well. 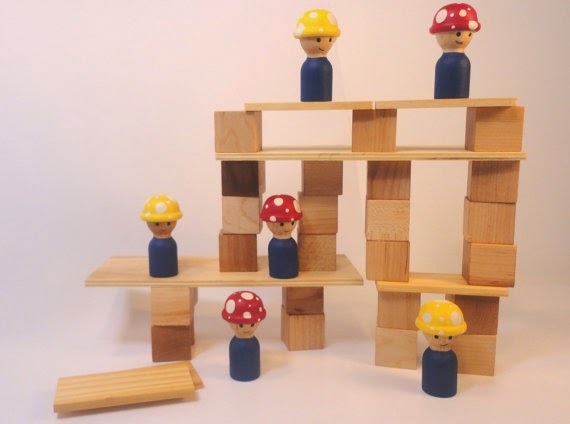 Building blocks and little people combined make little boys busy and happy building things that this next little set would be just ideally perfect for a little fellow who enjoys building up and knocking down his creation and watching all the little hard hatters scatter about! I found these at the BusyBeingMe shop. There is a fantastic selection of children's toys there to choose from. 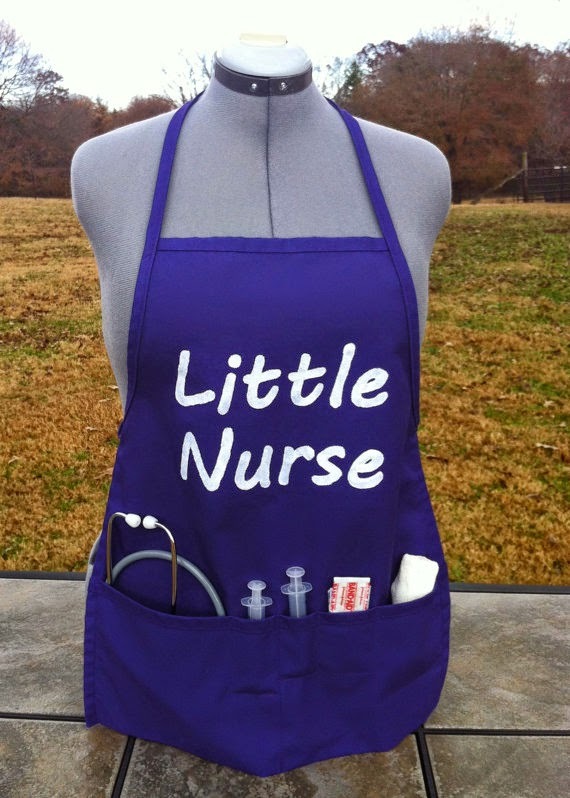 These fun designed aprons with accompanying tools of the profession can be found easily enough at the LiberatorDesigns shop. As you can see Etsy shop owners have a plethora of items for childrens' play time and teaching aids and all hand made, you just cannot get that in mass produced toys from a toy store. These come from people who understand children. That is such a good thing! **While I have your attention, for just a few more moments, how about spending a moment of your busy day helping support an independent small business owner win a contest going on over at Martha Stewart's? Etsy shop owners are all Independent Small business owners, and NewMorningGlass is such a shop. They are a Wildcard nominated finalist in a prestigious Martha Stewart competition and could use our help is its bid to win. Any of these small business will benefit as a winner and into the bagain can and will produce some new job opportunities which are truly needed in today's hard economic times. So, if you have a mind to help out a small business owner please head on over and cast a vote or 6 for NewMorningGlass! You can do that easily by clicking here!